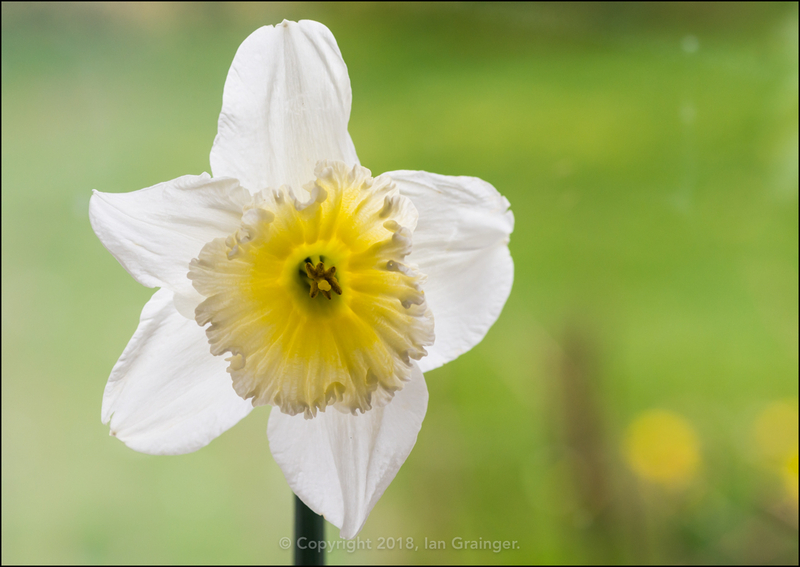 What an awful grey, miserable, murky morning it was for my photo shoot in dad's garden this weekend. 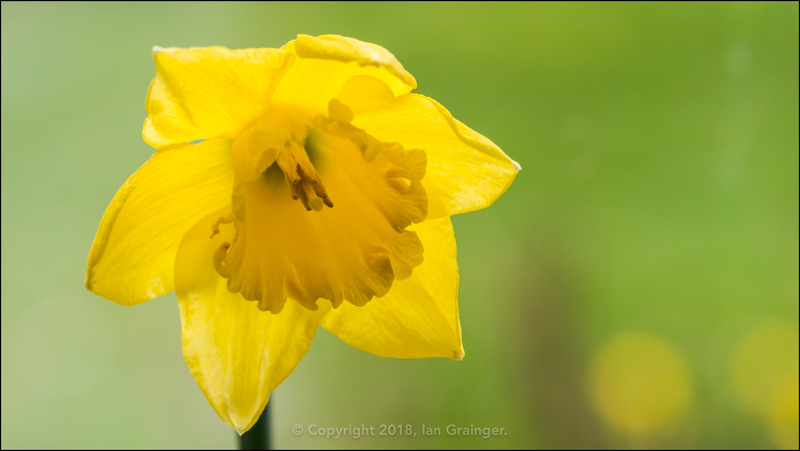 However, it wasn't raining, which made a nice change, and there was absolutely no wind, which made photographing in the relative darkness a little easier. 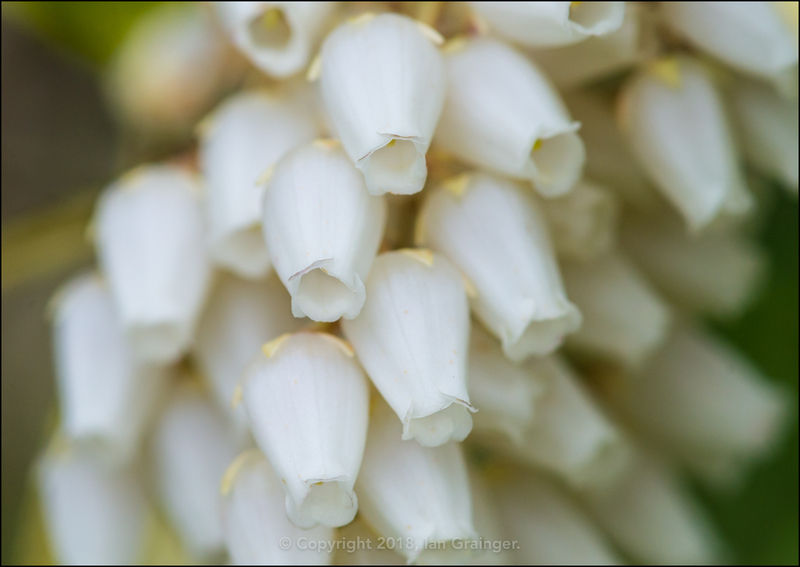 The Forest Flame (Pieris) bush had only just begun to open its flower buds last week, and was now covered in these beautiful little white flowers. 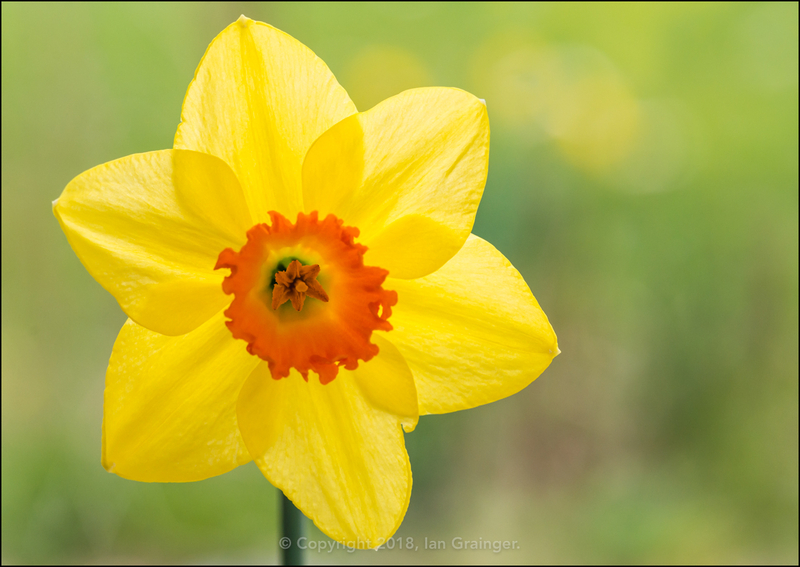 The biggest change in the garden this week though was the number of Daffodil (Narcissus) varieties on offer. 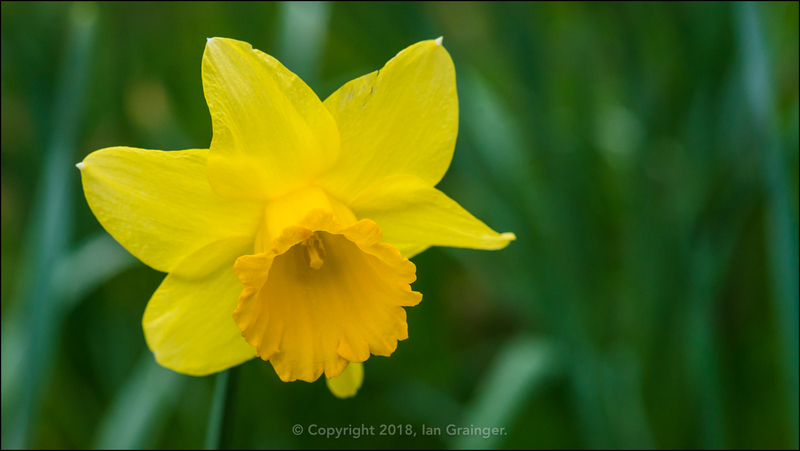 This particular one was my favourite, as I'd never seen a Daffodil with a flat trumpet before! 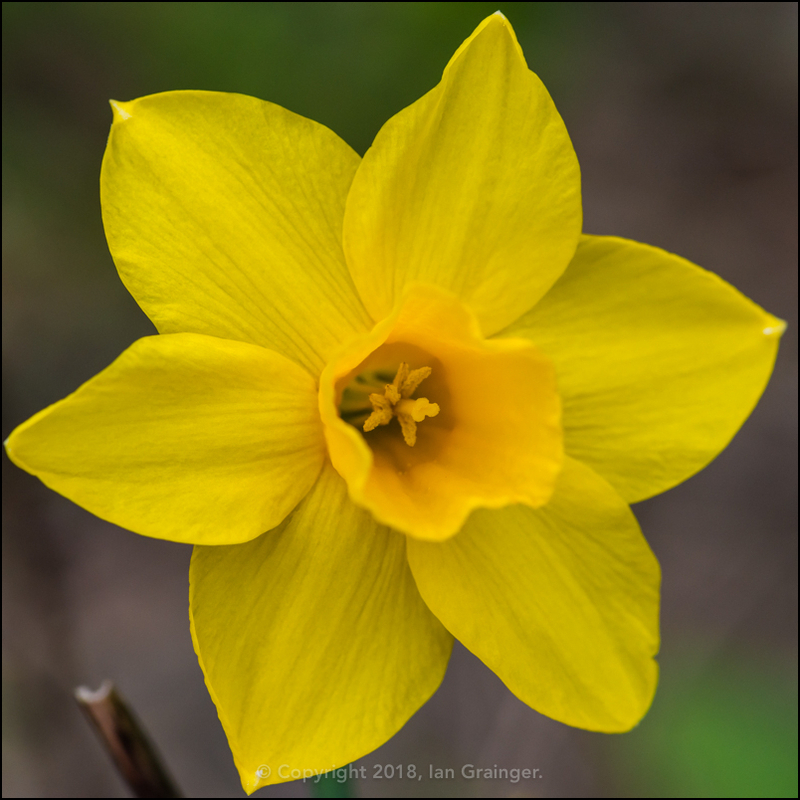 The trumpet is technically called the corona, and the phenomenon where it lays flat against the back (tepal) petals is called a split corona. Hot on the heels of the split corona variety, was this variety with the orange trumpet - sorry, corona! 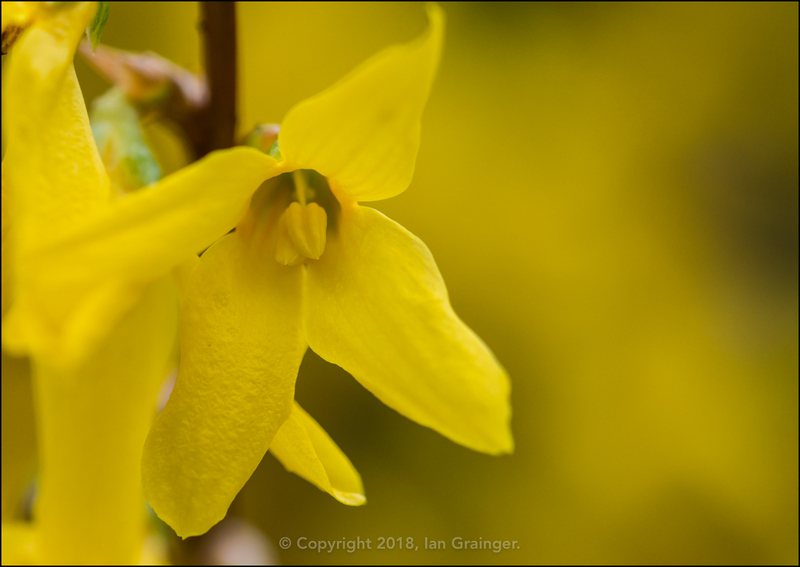 I just love the combination of colours here. ...whereas this one was the opposite way around, sporting a relatively large corona, with smaller tepals! ...and others where they were bending away from it! Quite the variety, none of which I knew the name of unfortunately! If you know any of their names, leave a comment below thanks. ...but even better to stand back and enjoy them all together. 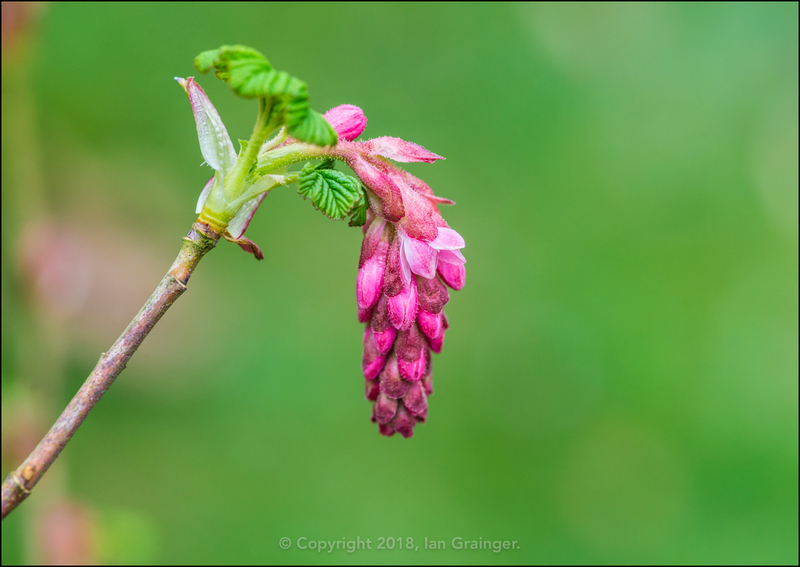 What wasn't yellow was pink, and it wouldn't be long before the Flowering Currant (Ribes sanguineum) flower buds opened to add a little more variety. 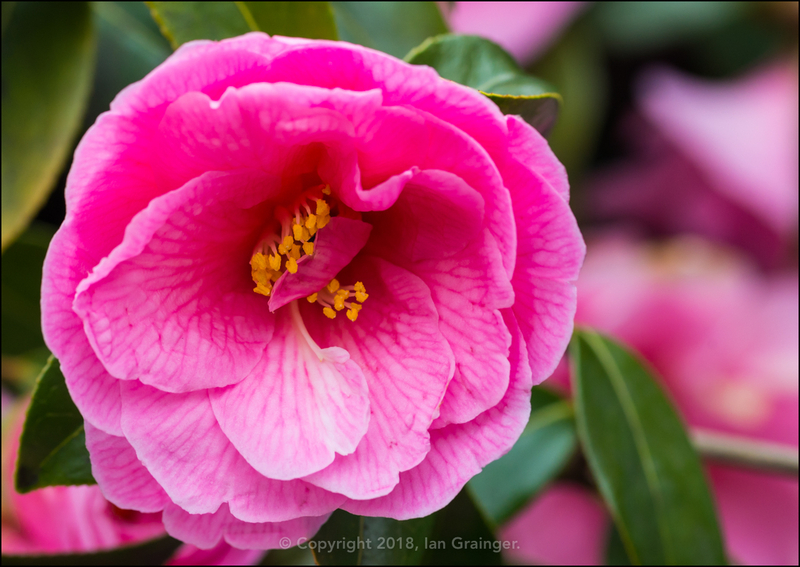 As mentioned several times in these articles, the remarkable Camellia bush has endured lots of unfavourable conditions in the last couple of months, but has withstood them all, and bounced back with a new raft of flowers. 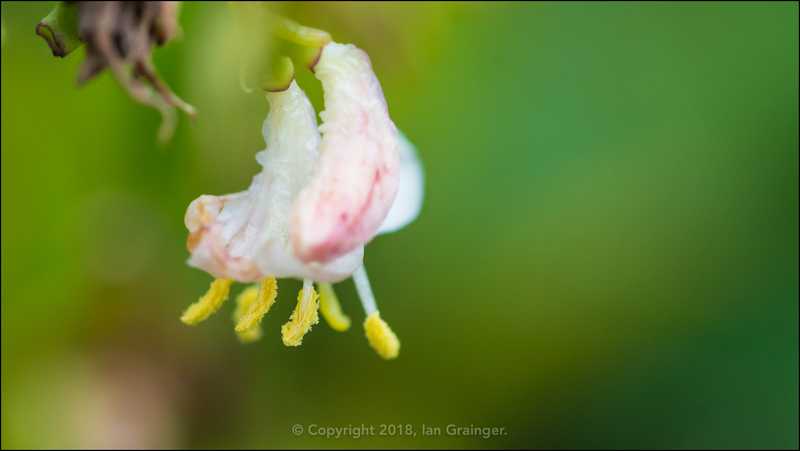 It should also be noted, that despite last flowering about a month ago, the Winter Honeysuckle (Lonicera fragrantissima) was back! 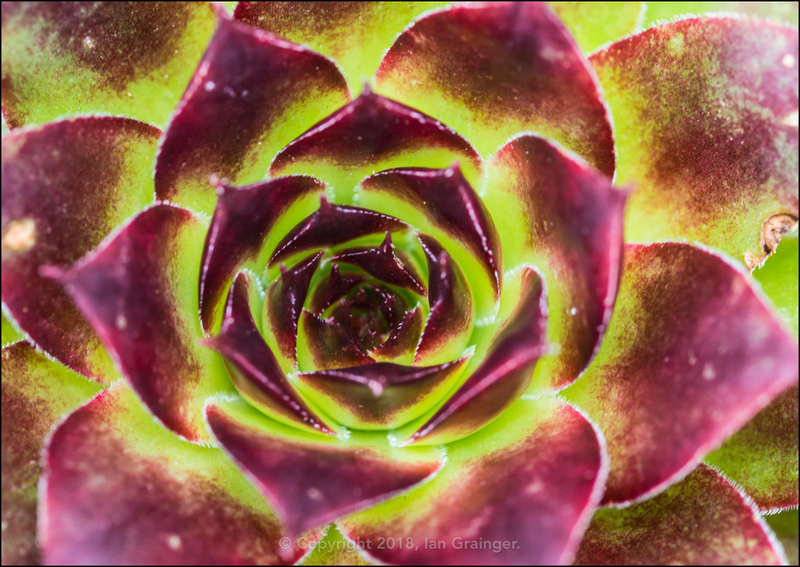 Actually, probably the most colourful thing in the garden at the moment was this Houseleek (Sempervivum) plant. Stunning don't you think? 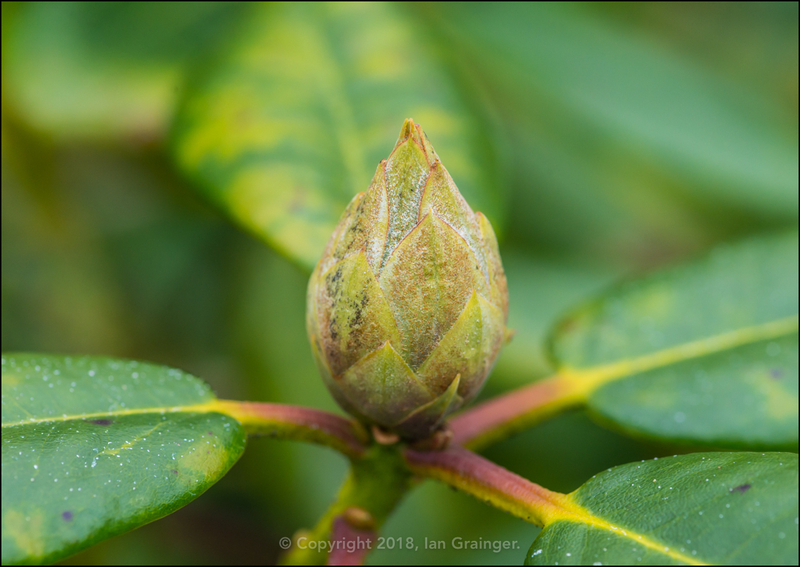 Looking at things on the horizon, it wouldn't be too long before the Rhododendron blooms were back. 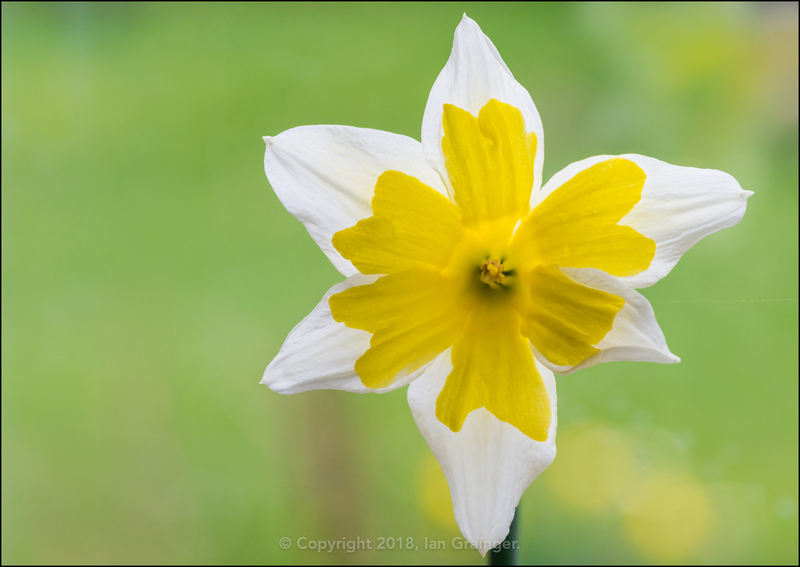 Last year the first petals appeared at the end of April so we wouldn't have too long to wait. 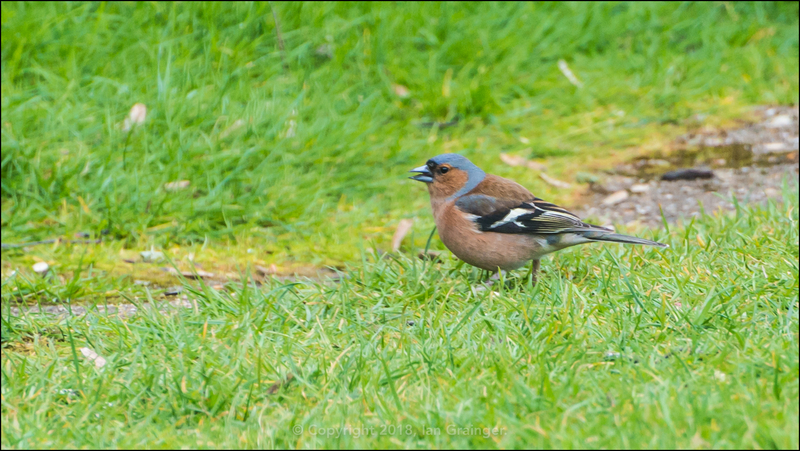 Turning my lens at my feathered friends, I was quite pleased to catch this colourful Chaffinch (Fringilla coelebs) hanging out on dad's lawn. They don't normally come into the garden, so this one must have been hungry. 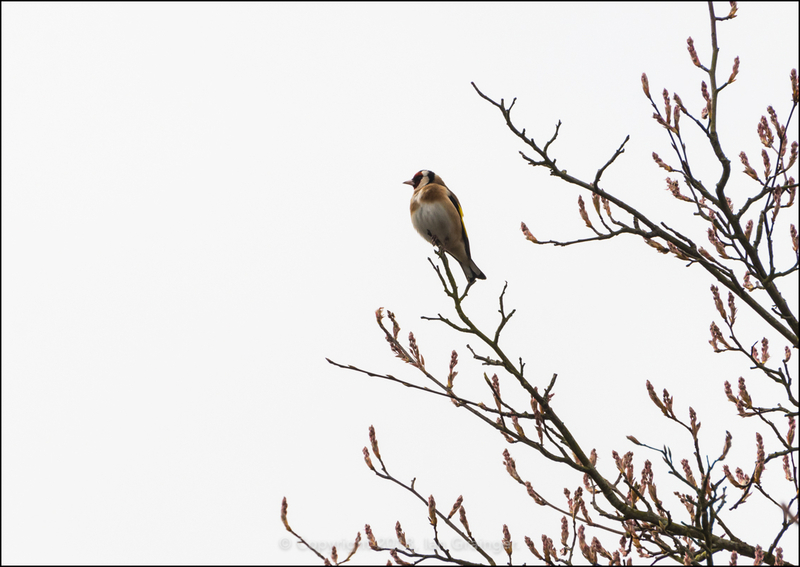 A more familiar sight are the Goldfinches (Carduelis carduelis). 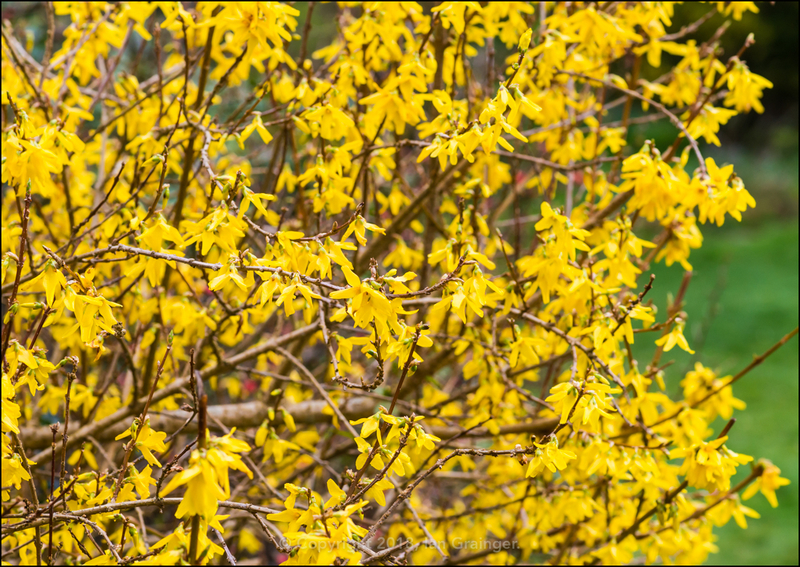 This one was posing as lookout in the Amelanchier tree, which looked like it was just about to burst into bloom. Finally, you missed a party in my Shrimp Tank last week. 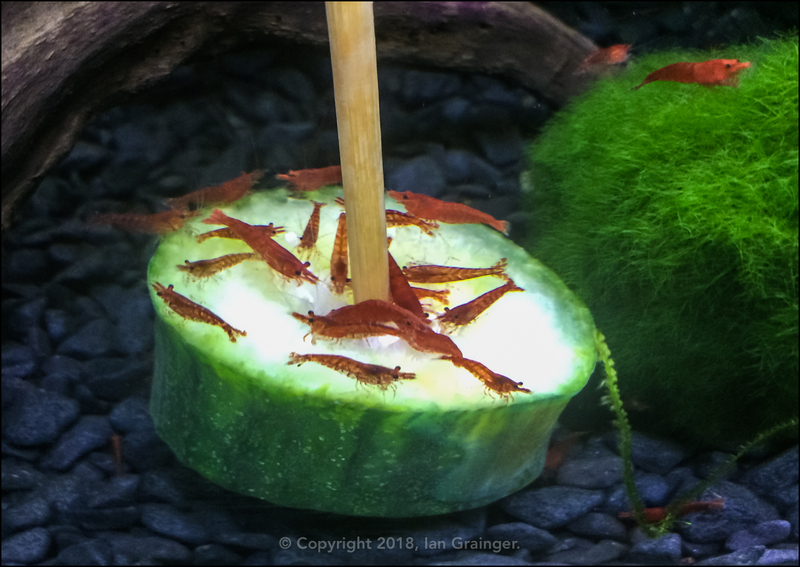 I lost count of the number of Red Cherry Shrimp (Neocaridina davidi) shrimplets that were dining on this disc of cucumber, but the number must have got into the hundreds over the space of an hour or so!